Since 1980, the University of Missouri IPM program has served the agriculture, horticulture, and urban pest management sectors in educating Missouri's citizens on responsible and sustainable pest management methods. 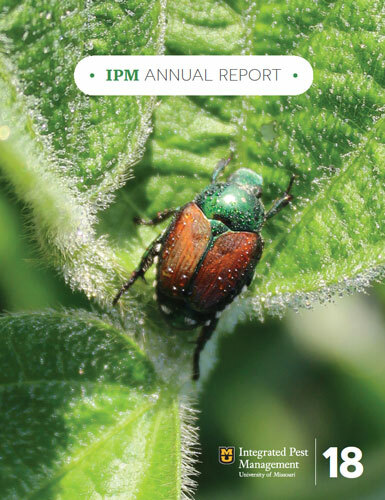 An interlinked community of state faculty specialists, regional extension specialists, and MU IPM staff strive to deliver timely updates of ongoing and potential pest problems, and the research-based approaches to controlling them. Allied programs include the Pesticide Safety Education Program, MU Soil & Plant Testing Lab, MU Plant Diagnostic Clinic, SCN Nematode Diagnostics, Master Gardeners, Healthy Yards for Clear Streams, and the Missouri Strip Trial Program. 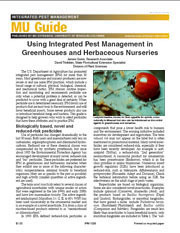 As evidenced in this annual update, MU state and regional specialists are engaged in an array of research programs that aren't just a reaction to current problems, but also will help proactively manage and plan for future pest threats. 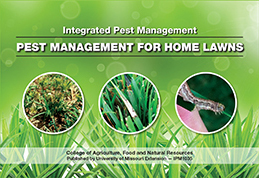 Various outreach programs, including scouting schools, training events, workshops and the Missouri IPM website are designed to keep you apprised of important pest management issues in the state, and the appropriate tactics in which to manage these problems. We hope you enjoy this 2018 update of our observations and activities, and look forward to serving you again in 2019. Protects people and animals from accidental exposure; Protects the environment from accidental contamination; Prevents damage to pesticides from temperature extremes and excess moisture; and Protects the pesticides from theft, vandalism, and unauthorized use Reduces the likelihood of liability. Positive identification of pests, including weeds, is the first step in a sound integrated pest management program. Knowledge of plant morphological features, such as leaf and stem shape, flower type and color, and the presence of hairs make identification relatively easy compared with relying on seed physical characteristics. 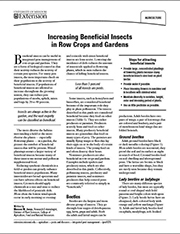 Beneficial insects can be useful in integrated pest management of row crops and gardens. 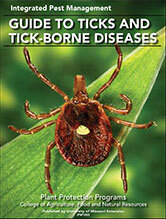 They are a form of biological control in that their activity reduces the activity of certain pest species. For many pest insects, the most important check on their populations is the activity of beneficial insects. If populations of beneficial insects are allowed to increase throughout the growing season, they can reduce pest populations of moths, aphids, mites and bugs by 20 to 40 percent. 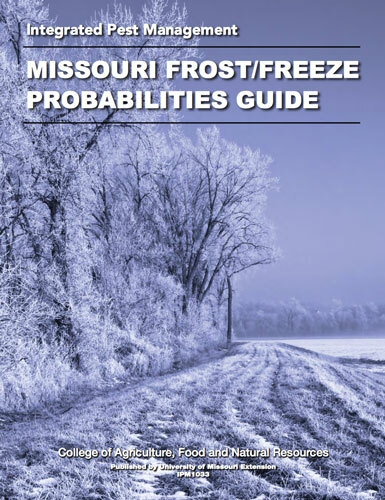 This guide provides frost/freeze probabilities, tables, maps and dates for 103 National Weather Service Cooperative (NWSC) weather stations in Missouri. The information was obtained from the National Centers for Environmental Information and is based on data for the 30-year period 1981-2010. Integrated pest management (IPM) has different meanings to everyone who works in the agricultural environment. It can be thought of as a systematic approach to solving pest problems by applying our knowledge about pests to prevent them from damaging crops. 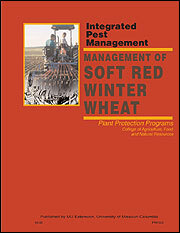 Beginning in 1972, the U.S. Department of Agriculture made funding available to the states to develop an IPM network through the extension system. 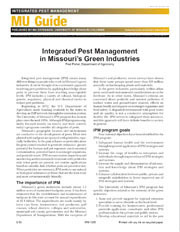 MU's IPM program has been in place since the mid-1970s. 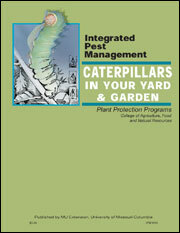 IPM programs originally focused mainly on insects and their control but today consider all categories of pests. Crop scouting is an essential part of Integrated Pest Management (IPM). 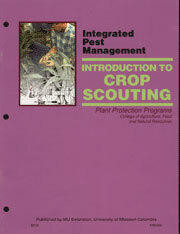 Scouting provides field-specific information on pest pressure and crop injury, information essential to the appropriate selection and application of pest management procedures. This publication explains the concepts of the economic injury level and economic threshold and focuses on sampling procedures used by field scouts. It discusses the importance of the scouting report as a record of the field sampling survey. 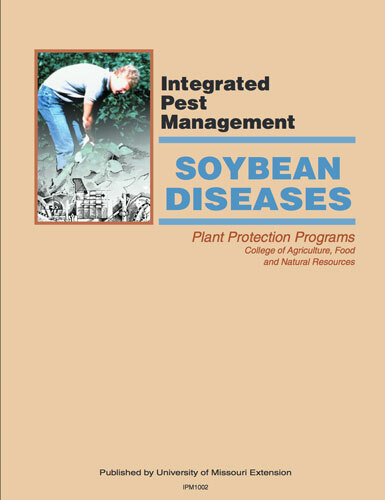 This publication is intended to serve as a practical reference and educational tool to be used in scouting corn and soybean fields for the presence of weeds, identifying whether a rescue treatment is necessary, and determining crop response to herbicide activity. This publication consists of two main sections. Musk thistle, Carduus nutans L., is a European weed introduced accidentally into the eastern seaboard of the United States in the mid- to late 1800s. It has since spread throughout most of North America, where it has become a weed of considerable economic importance. Soil fertility is one of several factors, including light, moisture, weeds, insects, and diseases, that affect crop yield. An important part of crop farming is being able to identify and prevent plant nutrient deficiencies and toxicities. 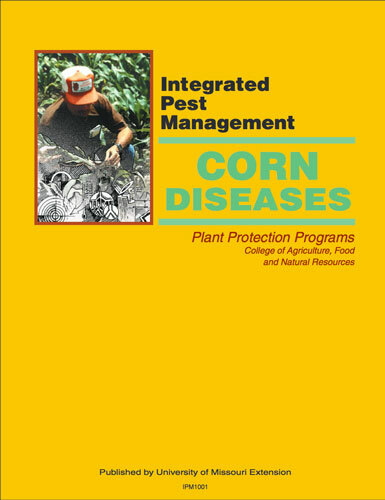 This publication provides background information on the nature and development of crop nutrient disorders under the growing conditions commonly encountered in Missouri. 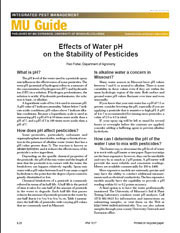 The publication discusses plant tissue testing as the most accurate diagnostic tool for nutrient deficiencies. 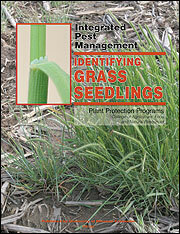 Methods for diagnosing nitrogen deficiency by measuring plant color, either in the field or remotely, are discussed. The publication provides an introduction to fertility management and key agronomic considerations such as variety selection and planting dates, rates and depth. 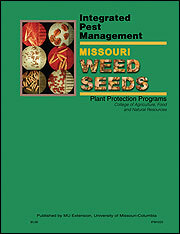 Densely illustrated sections cover identification and management of weeds, diseases and insects in Missouri wheat production. Upland cotton was domesticated from a subtropical, perennial plant in its native desert habitat. Now it is grown as an annual crop in Missouri and throughout the cotton-growing regions of the United States. 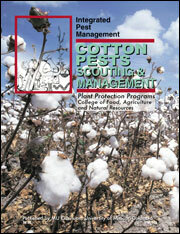 An understanding of the cotton plant's growth patterns is important for timely management practices. 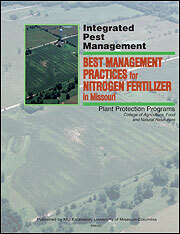 Missouri crop producers use a wide range of practices to supply nitrogen to their crops. The timing, rate and method of application, as well as the source of nitrogen and the use of additives, vary widely across the state and often between neighbors. Under certain weather conditions, nitrogen can be lost from the soil between application and crop uptake. This publication is intended to describe crop production practices that have the greatest potential for success in dealing with the complexities of managing nitrogen fertilizer. In surveys conducted in Illinois and Missouri, producers and agricultural retailers listed waterhemp as one of the most common and troublesome weeds encountered in soybean production. Waterhemp is a prolific seed producer, capable of producing about one-and-a-half times more seed than most other pigweed species. Waterhemp plants generally produce about 250,000 seeds per plant, although some plants can produce as many as 1 million seeds when growing under optimal conditions in noncompetitive environments. Annual broadleaf and grass weeds can become a serious problem in pastures and forages unless proper weed management is practiced. 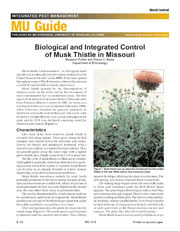 This publication, based on University of Missouri research, is a guide for identifying weeds and selecting and comparing herbicides. 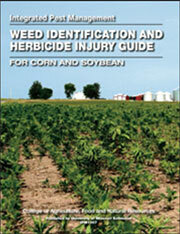 It is written specifically for the forage crops, soils and weed problems in Missouri. Color photos of 75 weeds in various stages of development are included to aid in weed identification. 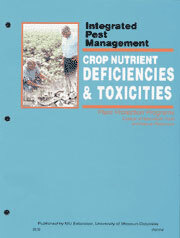 This guide describes various agents of biological pest control. These strategies include judicious use of pesticides and cultural practices, such as crop rotation, tillage, timing of planting or harvesting, planting trap crops, sanitation, and use of natural enemies. 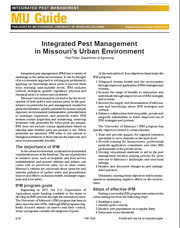 Missouri's urban environment is conducive to the development of both indoor and outdoor pests. 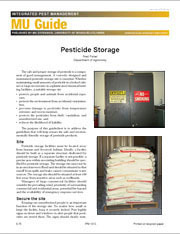 In the past, reliance on pesticides for pest management has resulted in pesticide resistance and the development of stronger pesticides. The increased use of pesticides has also resulted in greater potential for human and pet exposure. Missouri's citizens are increasingly concerned about pesticides and excess nutrients polluting their surface and groundwater sources and pesticides' effects on human health, nontarget organisms and food safety as well as pesticide waste. 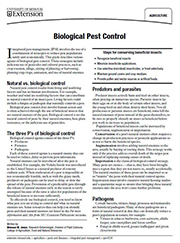 Knowledge of a pest's biology, including the stages at which it causes damage and its seasonal occurrence, and recognition of damage are essential to both conventional and alternative control methods in orchard pest management. 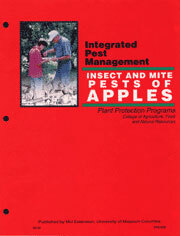 This publication presents information on the damage symptoms and signs caused by many insect and mite pests commonly encountered in commercial as well as backyard apple orchards in the Midwest. 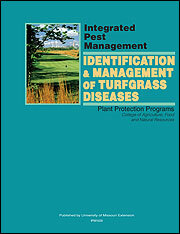 This newly expanded guide provides weed identification and control information that turfgrass professionals can use to develop effective weed control programs for golf courses, athletic fields, sod farms, lawns, and other turfgrass systems. The recommendations apply to the majority of the United States, with input from experts in Illinois, Indiana, Iowa, Kansas, Kentucky, Michigan, Minnesota, Missouri, Nebraska, New York, Ohio, and Wisconsin. 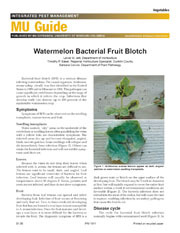 Bacterial fruit blotch (BFB) is a serious disease infecting watermelons. The causal organism, Acidovorax avenae subsp. citrulli, was first identified in the United States in 1989 and in Missouri in 1994. This pathogen can cause significant yield losses depending on the stage of growth in which it infects the crop. Infections that develop early can destroy up to 100 percent of the marketable watermelon crop. The purpose of this pictorial guide is to provide basic characteristics in identifying many of the caterpillars commonly encountered in our yards and gardens. This information would be particularly useful to those interested in butterfly gardening and conservation. Most of the caterpillar species described in this manual are not considered pests; however, some species may cause serious damage to many tree, shrub, flower and vegetable plants. 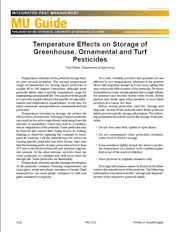 This publication is designed to assist greenhouse and nursery managers in selecting the appropriate pesticides to control or regulate the multitude of arthropod pests encountered in greenhouses and nurseries. The primary arthropod pests encountered in greenhouses and herbaceous nurseries in both Missouri and Kansas are aphids, thrips, fungus gnats, shore flies, spider mites, mealybugs, plant bugs, whiteflies, leafhoppers, leafminers, leaf-feeding beetles and caterpillars. Establishment and maintenance of turfgrasses is a multibillion dollar industry in the United States for good reason. Turfgrasses don't just add beauty to one's surroundings. Natural grasses provide safe and attractive playing surfaces for sports and other leisure activities. Vigorous, well-rooted turfgrass stands also protect local watersheds by filtering out harmful substances and reducing soil erosion and runoff. In addition to providing a place to relax and play, lawns are beneficial in preventing soil erosion, reducing animal and insect pests, and cooling the landscape around a home. Like all plants, however, lawn turfgrasses are susceptible to pest pressure from weeds, diseases and insects. 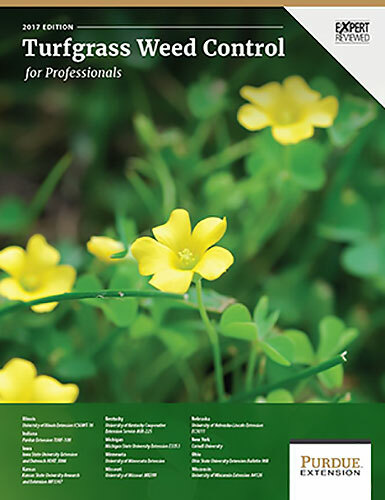 This pocket-size manual familiarizes homeowners and lawn care professionals with the pest problems that may be encountered in a home lawn and provides information on the most sustainable and integrated management solutions for those problems. 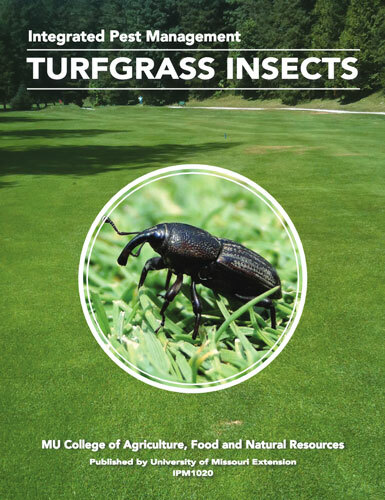 It contains descriptions and photos to aid in identification of turfgrasses and the most common lawn weeds, diseases and insects. In addition, it includes tables that indicate the degree of control provided by herbicides, fungicides and insecticides labeled for use on residential lawns. Elderberry rust is a fungal disease that infects elderberry (Sambucus sp.) and sedge (Carex sp.) plants in the eastern United States. The disease is caused by the fungus Puccinia sambuci (Schwein.) Arthur. All American and European elderberry cultivars tested in Missouri are susceptible to rust. 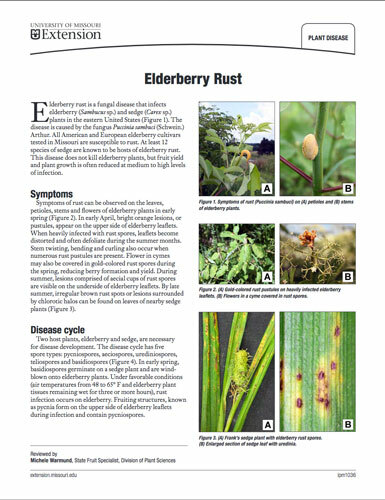 At least 12 species of sedge are known to be hosts of elderberry rust. This disease does not kill elderberry plants, but fruit yield and plant growth is often reduced at medium to high levels of infection.